Receiving aid with activities of daily living can make a significant improvement in the quality of life for Alaska seniors. 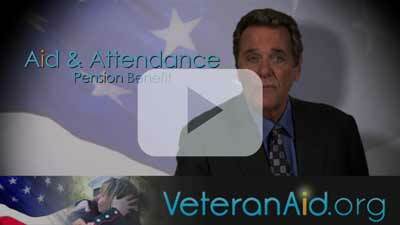 The Veterans Administration Aid and Attendance Pension program is available to help make this level of improvement a little more attainable. Eligible Alabama veterans and their surviving spouses can qualify should they need aid in various activities for daily living (also known as ADLs). These tasks could include rudimentary functions like bathing, dressing, eating, medication management, and transportation for errands and appointments, although it should be noted that eligible applicants don’t need to require aid with everything in order to qualify. Aid and Attendance recipients can also utilize these funds to help pay for costs associated with home care, skilled nursing home care, or assisted living. The application process to receive Aid and Attendance benefits could take a few months from beginning to end, but those that get approved will receive retroactive benefits that reach to the original application date. If you are interested in applying for this aid, but you need help with the application process, there are various resources available to help. The Alaska Department of Military and Veterans Affairs provide the state’s vets with a full arrangement of services that range from assisted living facilities to legal representation. The organization works with the state’s Veterans Centers to help veteran and their families with various benefits, referrals, healthcare options, and more. To get connected, visit www.veteransalaska.gov. There are some differences in Alaska assisted living facilities. The facilities that are located in larger cities like Anchorage will be ideal for those that still want to be close to metropolitan perks such as restaurants, shops, and cultural activities. On the flip side, those who prefer the quiet nature of suburbia may gravitate toward an assisted living community in a bedroom community, where parks and familiar chain retailers are nearby. Each assisted living facility is home to unique services that are contained within the monthly room and board fee. Basic services typically include key elements for proper senior care-fueled living, such as 24-hour security, private living spaces, nurse access, call buttons in the rooms in case of a sudden emergency, meals, housekeeping, laundry, and utilities. Some services can be augmented for an extra fee. Extra services that could be added include salon care, massage therapy, and personalized transportation service. Because these latter services vary from venue to venue, it is always a wise idea to research to see what is included and what is constituted as an add-on perk at every assisted living facility considered. It is also prudent to ask if the facility also offers continuum of care, in which a resident can stay on the campus should their assisted living needs change over time. What does assisted living cost in Alaska? According to data culled from Genworth’s 2016 Cost of Care Survey, the average cost of assisted living in Alaska is $69,000 per year, which is significantly higher than the average nationwide cost of $43,539. This price tag translates to a monthly cost of $5,750 and a daily cost of $189. Precise costs will vary based on the city and the region that the facility is located in. The state’s annual home health care costs check in at $59,488 for homemaker services and $61,776 for home health aide services. It also represents a substantial savings in comparison to Alaska’s nursing home care costs, which can break down to an annual cost of $292,000 for a semi-private room and $297,840 for a private room. The Alaska Department of Military and Veterans Affairs run a wide host of programs to serve and support the state’s veterans. These include housing services, support programs, e-mail programs to keep people abreast of local services and events, and more. Plus, Alaska is home to several intriguing military points of interest that can be interesting to visit with family, as part as an assisted living field trip, or even as an individual day out. What’s more, these particular points of interest may offer veterans the opportunity to volunteer, giving them a natural platform to share stories and expertise with visitors of all ages. The majority of Alaska’s military-themed points of interest relate to World War II. Some of the museums operate in conjunction with historic state parks. For instance the Fort Abercrombie State Historical Park is home to Kodiak Military History Museum, a private military museum located in a restored ammunition bunker. Another relevant point of interest with strong military ties is the Aleutian Islands, which contain several military bases and battlegrounds. Chief amongst these sites is the Attu Battlefield and U.S. Army and Navy Airfields of Attu, which was the only battle that happened on U.S. soil during World War II. Other sites that have a military background have been repurposed for different uses, but still maintain a certain air of respect for its military past. A good example of this is found at Fort William H. Seward, also known as Chillkoot Barracks. This fort, which was part of a series of military outposts erected during the Alaskan gold rush era, has been re-developed as an art colony, which is home to various art galleries, housing, and lodging for tourists.